Just last week, I was mentioning the existence of Minibian which is basically a Raspbian Jessie but with a minimum set of pre-installed packages. I haven't tried this new distribution yet but it can be downloaded on the official download page and more info about it is available on the forum. For almost a year, I ran my Raspberry Pies with Arch Linux. The Raspberry needs a special armv6 or armv7 version but it is overall well supported. The main avantages of Arch Linux are a very recent version of all the packages, a relatively small image footprint and a very optimised compilation of packages. For example it boots within seconds compared to sometimes almost a minute with Raspbian. On the downside, it is important to keep the OS updated all the time because it is a rolling upgrade system. Total crash! A first, impossible to boot. After a while, I managed to go the root prompt but hardly further. Knowing that I normally used my Raspberries headless, having to plug keyboard and screen really adds to the pain. I figured out it would be easier to copy the data and to restart afresh. Yet, a couple of weeks ago, same scenario... AGAIN! This time I gave up! 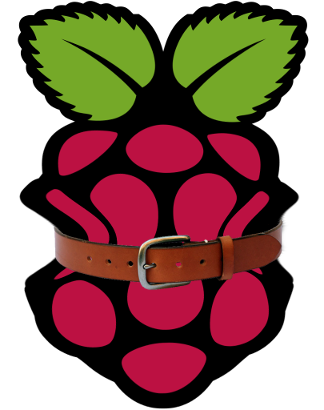 In the meantime, Raspbian Jessie was out. Trouble is, it is now a pinnacle of bloatware (at least to use as a pure server). Anyway, while I was at it, I made the switch to a new OS on a new Raspberry Pi 2. I got stung by the new Device Trees Overlay system when I had to change the GPIO 1-Wire pin but at least I ended-up with a stable OS. The other day, I discovered a new-ish distribution called Minibian which is basically a minimal version of Raspbian. It works very well indeed and was exactly what I was looking for. There are a couple of differences between Minibian and its huge brother but nothing bad. Video memory split is for example already set to the minimum and you connect straight to "root". But be prepared to use apt-get install quite a lot at the begining!